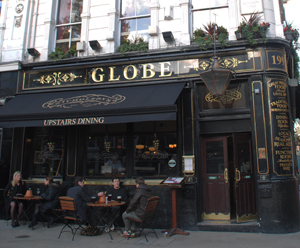 While it’s said there’s been a public house on this site since 1682, the name of the current premises on the corner of Bow and Russell Streets in Covent Garden came much later. 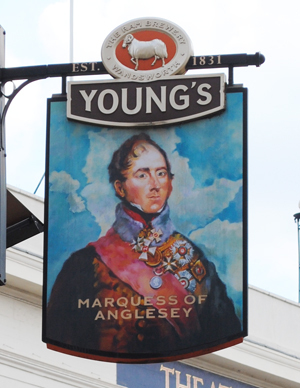 Originally two premises which have now merged together, the pub takes its name from Henry Paget, an 18th and 19th military man who was most famous for his role as cavalry commander at the Battle of Waterloo. Paget, whose leg had to be amputated after the battle after he was struck by a cannon ball in the closing stages, was created Marquess of Anglesey just two weeks later in thanks for his service. He subsequently served in government roles after the battle, including as Lord High Steward of England and, (for the second time) as Lord Lieutenant of Ireland. His private life was as colourful as his career – he had eight children by his first wife, Lady Caroline Villiers, before eloping with the Duke of Wellington’s sister in law, Lady Charlotte Cadogan, with whom he had a further 10 children. 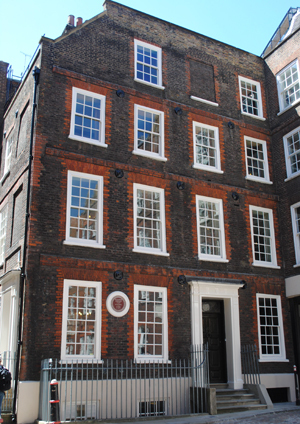 For more on the pub, take a look at its website at www.themarquess.co.uk.